In yet another assault on clean water, the Trump Administration has proposed a new federal budget for Fiscal Year 2020 that eliminates nearly all funding for EPA's Chesapeake Bay Program—the largest program to restore a body of water in U.S. history. The program coordinates scientific research on the health of the Bay and provides grants to state and local governments to help reduce pollution. It's successful, bipartisan, non-controversial—and it's a critical part of the Bay restoration efforts that are decreasing pollution, shrinking the Bay's dead zone, and allowing Bay grasses to thrive. Now is not the time to back down, just as the Bay and its rivers and streams are coming back to life. Now is the time to accelerate Bay restoration—not slow it down. We need to increase, not decrease, critical investments needed to fully restore the Bay and its rivers and streams. Cuts to this vital work could reverse years of hard-won progress and threaten clean water for the more than 18 million people who call the Chesapeake Bay watershed home. That's why it's so important that we tell Congress loud and clear that it must continue to stand strong on restoring and protecting clean water in the Chesapeake Bay. To be clear: We are not referring to the Chesapeake Bay Foundation's budget, but the federal budget for EPA's Chesapeake Bay Program, which plays a critical role in coordinating and sustaining the federal/state partnership to restore the Bay and its rivers and streams. Fight Back Against Another Assault on Clean Water! 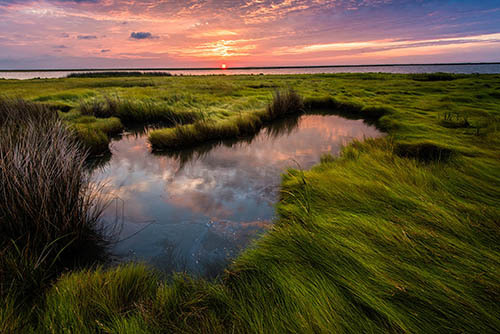 The Chesapeake Bay Program coordinates scientific research on the health of the Bay and provides grants to state and local governments to help reduce pollution. It's successful, bipartisan, non-controversial--and it's a critical part of the Bay restoration efforts that are decreasing pollution, shrinking the Bay's dead zone, and allowing Bay grasses to thrive. Now is not the time to back down, just as the Bay and its rivers and streams are coming back to life. We must continue to stand strong on restoring and protecting clean water in the Chesapeake Bay. We need to increase, not decrease, critical investments needed to fully restore the Bay and its rivers and streams. I support increased investment for the Chesapeake Bay Program.